First Day of Treatment and Grandma Arrives in Carlsbad 4/15/2013 | Travis the Warrior --- Kickin' Cancer! 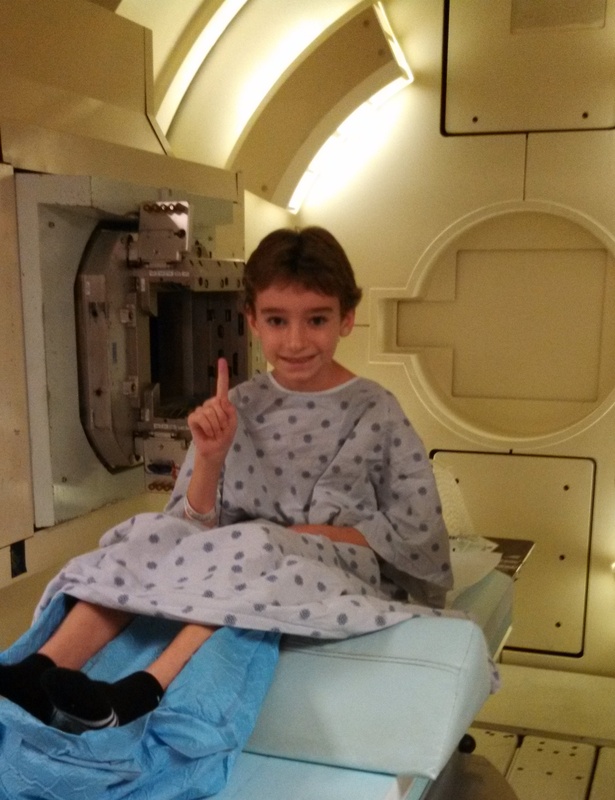 We had our first proton treatment today. Our day started with breakfast in the hotel and then we left for the Proton Center. Since we were not sure about the traffic, we left early and ended up getting there an hour early. We were given a quick tour of the actual treatment area and then they took Travis back to get started. When he was done, he had a headache. It just got worse as the day went on. There were side effects (nausea, etc.) from that, but he is resting now. The doctor prescribed a steroid to try and help. The nurse said that the treatment is a shock to the body in the beginning. Tomorrow they are adding chemo (vincristine) along with the Proton therapy. We are praying that tomorrow will be better for him. He is such a sweetie. After a slight delay in LA, Grandma arrived today and we are happy to have her help! She is going to be in Carlsbad for at least 6 weeks but says she can stay as long as we need which is a huge help so that we can keep things normal while we focus on the treatment. We have been introduced to yet another great contact in the Houston area. As it turns out, Cara’s sister, Christyn, moved to Houston about a year ago and in fact, lives about 10 minutes away from where we are. She contacted us today and has offered to help with anything. Chrisyn said that last Wednesday they hosted a St Baldrick’s Foundation head-shaving event at their elementary school. 19 kids and 3 adults shaved their heads to support children with cancer. She said that kids like Travis are why they do it! Wow! Thanks for a great dinner from the Galli family for Tony, Tyler and Grandma!